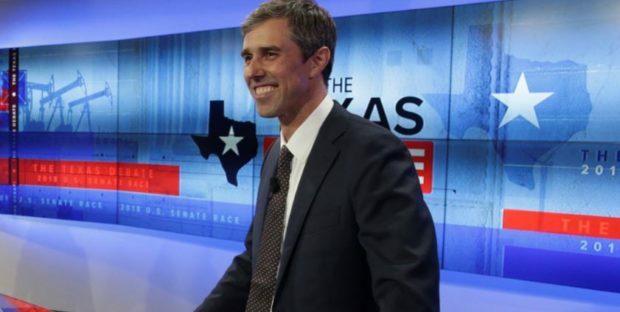 Failed Texas Democratic Senate hopeful Beto O’Rourke is now considered one of the leading candidates to challenge President Donald Trump in the 2020 presidential election. The top three Democrats in a new poll published on Monday by POLITICO/Morning Consult were former Vice President Joe Biden (26 percent), previous presidential hopeful Bernie Sanders (19 percent) and O’Rourke (eight percent). The only other potential Democratic nominees that received more than one percent of the vote were Senator Elizabeth Warren, Senator Kamala Harris, Senator Cory Booker and Michael Bloomberg. Anti-Trump lawyer Michael Avenatti received 0 percent. The survey was conducted on November 7-9, and they interviewed nearly 2,000 people. The margin of error is plus or minus 2 percentage points. Despite not making the list, Richard Ojeda, a Democrat who lost a House race in West Virginia in last week’s midterms, announced his intentions to run for the Democratic nomination on Monday. Last week, Politico reported that Democratic Rep. Eric Swalwell intends to run as well. In an interesting development, two former Clinton aides have suggested that Hillary Clinton could run against President Trump again in 2020.